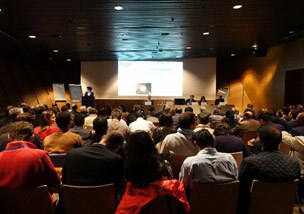 On Sunday, 7th May, HOYA Surgical Optics organized a successful lunch symposium for 160 attendees to a full house theater during the Congress of the French Ophthalmology Society (SFO). The title of the symposium was: "New astigmatism management in 2017". On the podium, the experienced speakers made presentations about each step of cataract surgery to correct astigmatism: Pr PJ.Pisella (Tours) was the Chairman of the scientific session. The SFO President – Pr B. Cochener (Brest) also ESCRS President, Dr C. Ganem (Paris) and Pr C. Dot (Lyon) were also speakers. 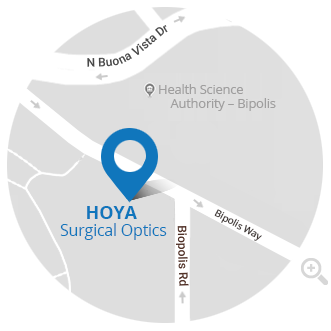 With a presentation about rotational stability, Pr Menapace from Austria explained that in a study with more than 100 cases of implanted HOYA Vivinex iSert® IOLs, the average rotation during 4-6 months after the surgery was less than 5°. HSO has participated in the “SFO video life-surgery session” presenting a video with a successful HOYA Vivinex™ Toric (Dr Doan -Paris) implantation. The video was presented to approximately 500 doctors.